It was early in 2003, when Ryan and I began earnestly searching for a small Colorado art town where we could buy a home and start married life together. As creative people – Ryan designs furniture and I’m a writer – we’d grown tired of city life in Denver, and we wanted to find a community that appreciated and foster artistic endeavors. Loveland was one of the first places we visited, and we immediately fell in love with the big trees and sculpture-lined streets in downtown. That fall we bought a home and settled into Loveland, Colorado. While Loveland is no longer a small town, one of the main reasons we moved here was for the art and while the city has grown, art is still king in the Sweetheart City. And there’s no better time to witness the city’s thriving art scene than during the second weekend in August when three annual art festivals take place. Sculpture in the Park was established in 1984, and is considered by art enthusiasts as one of the finest outdoor juried exhibition in the United States. Held in Loveland’s Benson Sculpture Garden, a destination in its own right, the three-day show (Friday is for patrons only) features more than 2,000 sculptures created by 160 sculptors from around the globe. Our first visit to Sculpture in the Park was a delightful and inspiring experience. And if you’ve never been, it’s time to go. The newest festival in the lineup, Loveland Fine Arts & Wine Festival, features a wide-variety of mediums and subject matter from sculpture in bronze to mixed media on canvas to home decor. Visitors can sip wine and browse for art or watch a series of entertainers including Native American song and dance presentations, the Mike Andersen & the Blue’s Review Band and more. 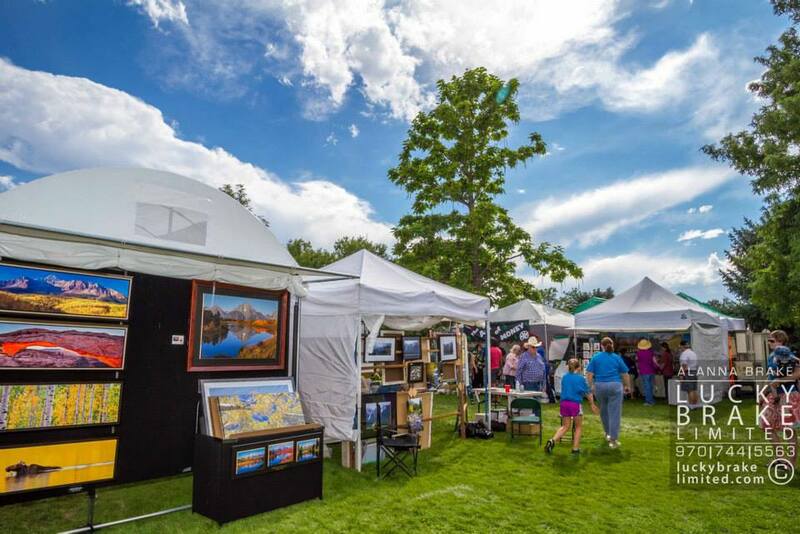 The 50th annual Art in the Park takes takes place at 2800 North Taft near Lake Loveland. Sponsored by the Thompson Valley Art League, this is one of Northern Colorado’s longest running art shows. This art festival features a variety of artists who create their art using a variety of mediums. Visitors will find everyone from hat makers to painters to woodworkers at Art in the Park. There’s also food vendors, bands and children activities. It’s a great place to meet up with friends or enjoy the event with family. Thousands of eager art patrons converge on Loveland during the second weekend of August, so it’s wise to plan ahead. All three art festivals take place within easy walking distance of one another and shuttling to the event from outlying areas is recommended. Art in the Park created this map that will help visitors find shuttle information.